Unlike the bigger mountains on the east side of the lake Annecy, it's possibly to cycle up to the peak of Le Semnoz: Crêt de Chatillon. Le Semnoz is the mountain on the west side of Lake Annecy. 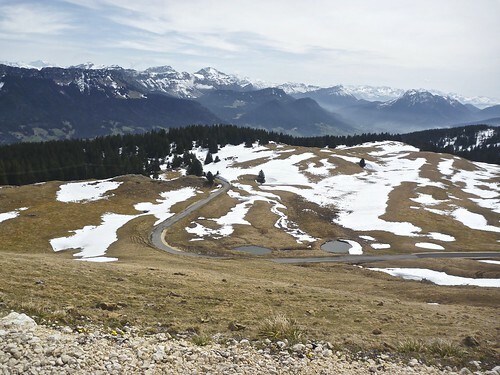 Unlike the bigger mountains on the east side of the lake, it’s possibly to cycle up to the peak of Le Semnoz: Crêt de Chatillon. There are (at least) four ways up this huge climb. For the first time, I did the west route. 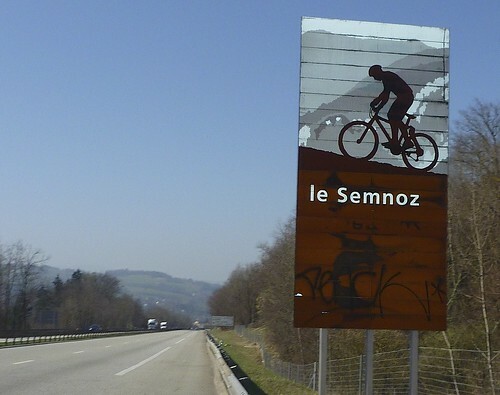 It joins the north route from Annecy about 7 kms from the summit – these are the two steepest ways up. Details of North Route here. Looping back to Annecy. It’s equally good in the opposite direction. After a few easy kms, the east side takes a steep, wide, quiet, twisting road through the forest before joining the North route. 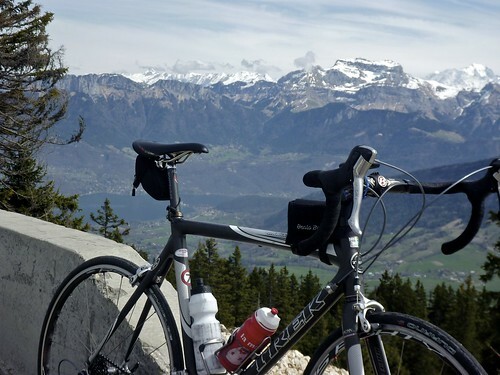 From here, it’s frankly a tough slog – but the reward at the top are stunning Alps views – as well as Lake Annecy far below. The warm weather has sadly closed the little ski station at the top, but I was still surprised to see the south route down cleared of snow – so I decided to make a look around the massif. 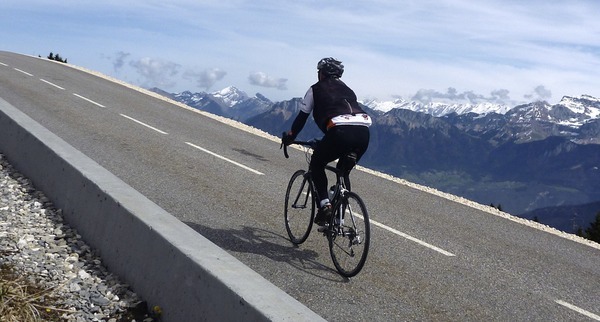 The south side hairpins above Col de Leschaux are fantastic – in either direction. Very quiet, and fast descent. I hadn’t mapped the loop back to the car so was happy not to get lost. All in all a great loop. Just as you descend into Leschaux, opposite the church, is the Auberge La Margeriaz run by Vincent and Cathy. They are good friends and do good food/beer/wine in an old 19th century house. A useful pit stop for another time…best wishes. Bastien, oui, c’est pas facile depuis Annecy. Your stories are a very good motivation for me to move on as fast as possible with fixing up our house…so I can join you again on those beautiful rides. Damn, I miss this. Hi, Will, it looks as though Col Hunting must be going really well! I remember climbing La Semnoz using northern approach last April and still finding plenty of snow on the top. It is fascinating to see such a difference in your pictures this year! 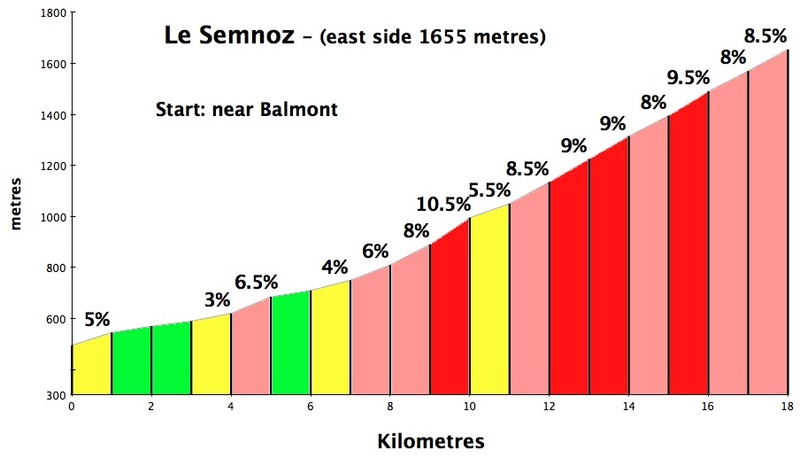 I wondered if you ever tried to combine Le Semnoz climb and Mont Revard on the same day? These 2 climbs seem not too far away from each other, at least n the map. Is there a relatively quiet road to Aix les Bains from Lescheux? 1. Understand that anything left of the A41 (at Aix-les-Bains) is fairly busy town traffic …. but not too long a stretch, and definitely ride-able. 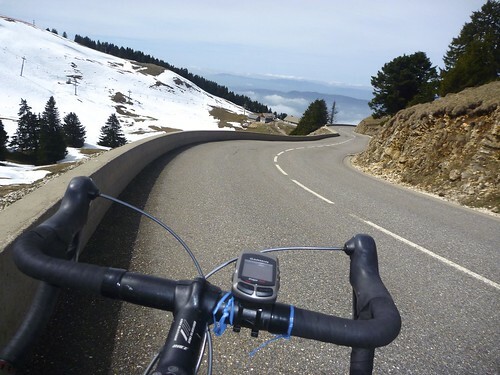 (you could take minor roads and cut across skipping Aix les Bains and the start of the climb). 2. Descending down the D911 after Leschaux is fast, straight, quite beautiful (mountains both sides), but has fast traffic – but not much traffic. No problems. 4. You could of course do variations. 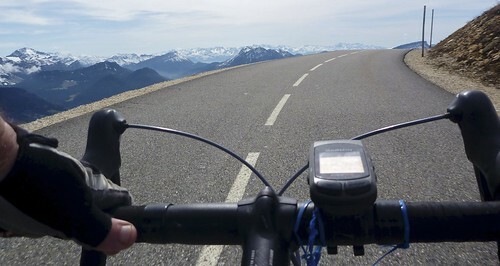 Climb Revard via Col de Plainpalais (marked on link) and double back for example. 5. But attached allows the full hard side of Revard, without too much compromise.